Colliers International announced on Sep 12 that Gisborne Light, a district 10 boutique site, located in Ewe Boon Road will be put up for collective sale via public tender for $37 million on 13 September 2018. The asking price for the freehold district 10 boutique site development at $37 million translates to a land rate of $1,671 per square foot per plot ratio (psf ppr). The land rate of Gisborne Light is attractive and fairly adjusts for the current market sentiment following the introduction of new cooling measures on July 06, 2018. Transactions in the area included: Crystal Tower at $1,840 psf ppr; City Towers at $1,847 psf ppr; Balmoral Mansions at $1,734 psf ppr and Balmoral Gardens at $1,812 psf ppr. 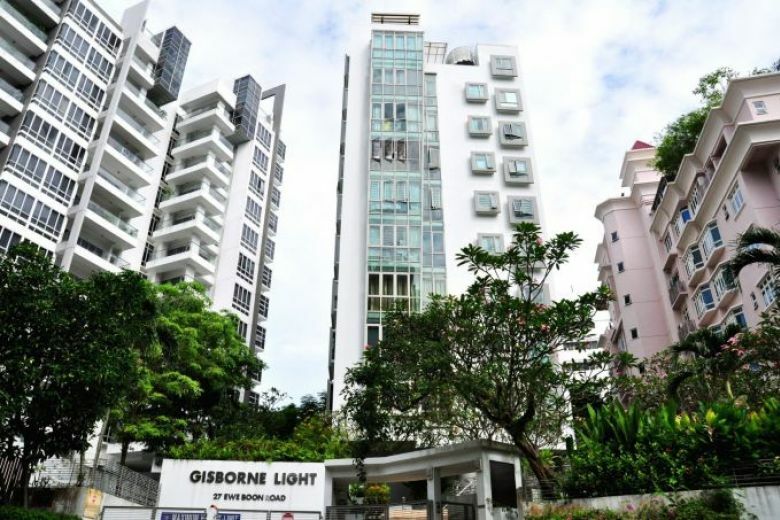 Built in 2003, the Gisborne Light sits on a 1,285.9 square metre (approximately 13,841 sq ft) site and comprises 17 apartment units with sizes ranging from 936 sq ft to 2,885 sq ft.
Each owner of the district 10 boutique site stands to receive between $1.7 million and $4.3 million from the successful sale of the development. Owners of 16 out of the 17 units have signed the collective sale agreement, representing approximately 95% consent level. Future residents at the new development will be well-served by a range of amenities in the vicinity. These include prestigious schools: Singapore Chinese Girls’ Primary School, Anglo-Chinese School (Barker Rd) and St. Joseph’s Institution. Singapore’s premier shopping district in Orchard Road, the Novena Medical Centre, as well as UNESCO World Heritage Site Singapore Botanic Gardens are also a short drive away. The redevelopment district 10 boutique site – in the upscale Bukit Timah area – is conveniently located within walking distance to the Stevens MRT station, providing excellent connectivity to the rest of Singapore via the North-South Line and the Downtown Line. Come 2021, Stevens MRT station will also be connected to the Thomson-East Coast Line, offering easy access to numerous attractions and recreational spots, such as Gardens by the Bay, Marine Parade, Shenton Way and Tanjong Katong. The collective sale tender for the district 10 boutique site will close at 3pm on 11 October 2018. Are you planning to invest in properties like the district 10 boutique site but ensure of funds availability for purchase? Don’t worry because iCompareLoan mortgage broker can set you up on a path that can get you a home loan in a quick and seamless manner.